Hi folks (and John, thank you for your good advice to date). In working on my 1914 six-over-one double hung sashes, I have noticed a gap of varying width where the upper sash channel meets the outer framing. That framing serves as a rear stop for the upper sash. In other words, the width of the channel for the upper /outer window is defined by the framing on the far side and the parting strip on the near side. The effects of the gap are first, to allow the upper window to ride too loosely in its channel and rattle, and second, the gap is a direct source of outside air into the weight pockets - which seems to me to defeat/bypass any efforts at weatherstripping the sashes. I'd be interested to know if others have had the same issue and how they have addressed it. Here's a photo - I have triple track storms, which provide an air barrier to the gap, but it still seems wrong. If you can't get clamps to narrow or close the gap, then I would accept the gap as is and fill it. With the sashes removed, clean out any loose paint or gunk in the gap, to make the inside surfaces of the gap more even. You'll probably run into nails that fasten the casing boards to the frame jambs, leave them in place. If you have the woodworking skills make a strip of wood that fits snugly into the gap. I would rip the strips to the maximum dimension on the table saw, and then hand plane them into the tapered shape needed to fit snugly or loosely into the gap and come out flush with the edge of the casing board. The strip fills the gap (more or less) and shims out the back of the casing board to provide the outer edge of the sash track, making the sash track the proper width for the sash. To install the strip, first seal the gap with a good high performance sealant, and backer rod if the gap is greater than 1/8". Tool the sealant so it is flush with the jamb board, with a little left on the surface of the casing board, which will act like an adhesive to help attach the strip to the casing. I would fasten the strip onto the inside of the casing board by "spinning" small, 4p, finish nails. Clip the head off of the finish nail. Chuck the nail into a power drill and "spin" it through the strip into the casing. Loosen the chuck and remove the drill from the nail. Of course, the nail is still sticking out. Clip it off with a pair of diagonal cutters as close to the strip as possible. Then use a dremel tool with a small grind stone to grind off the nail flush (or just slightly lower) than the surface of the strip. I would not try to pound than nail in with a hammer and nail set, because it might loosen the casing and widen the gap. 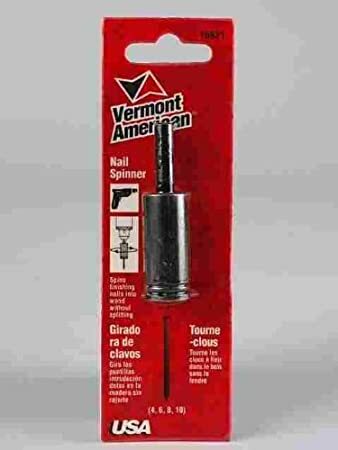 To make the nail spinning easier, you might be able to get a Vermont American 16621 Nail Spinner. Amazon.com says this tool is no longer available, but you might find it listed on eBay as old stock or second hand.